The Arctic Region makes a magnificent backdrop for creative meetings and unforgettable adventures. In the winter, you are accompanied by the magic of the northern lights whilst in the summer, you can enjoy daylight around the clock thanks to the midnight sun. Based at Svalbard, Tromsø and Harstad, the professional network Arctic Meetings use local expertise to organize conferences, congresses, events and activities according to your needs and wishes. 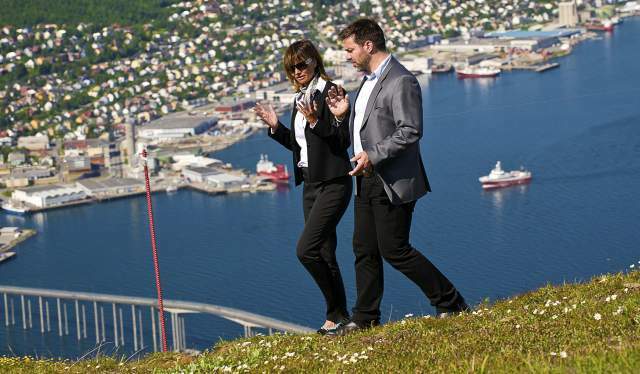 Generally known as the Arctic capital, Tromsø can entertain up to 3,600 conference delegates. Situated 350 kilometres north of the Arctic Circle, many people are surprised to find a lively student town with lots of restaurants, bustling cafes and a buzzing nightlife. At the same time, the wild Arctic nature is within easy reach and it is perfectly possible to combine a conference in the city with fun incentive activities like dog sledding or glacier hiking. Hold your next conference next to the North Pole. Svalbard has a conference capacity of up to 300 people. It is an opportunity to combine your business meeting with Arctic adventures such as ice caving and snowmobiling. In the winter, you are accompanied by the northern lights, in the summer by the midnight sun. You can buy a conference package that includes flights, accommodation, transport, meeting facilities, meals and excursions – based on your needs. The town and region of Harstad is located on the island of Hinnøya in Northern Norway. It has around 24,000 inhabitants. 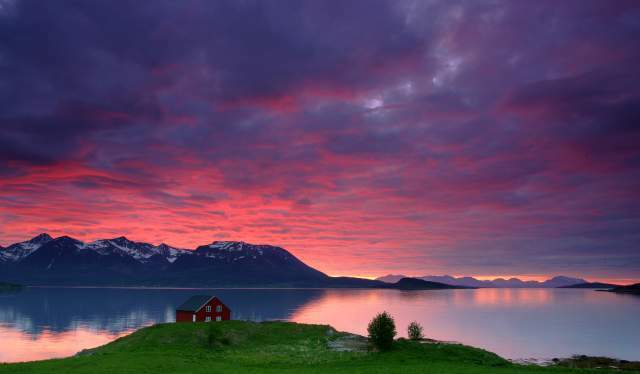 Harstad has a strikingly beautiful coastal landscape, surrounded by accessible mountain peaks that provide the perfect backdrop for team building activities. It is also a historical region with traces of the Viking Age, the Middle Age and World War II. Recently Harstad has further gained a reputation as a gourmet destination for food lovers. The Arctic is closer than you think. The Coastal Steamer Hurtigruten stops at Tromsø and Harstad on its way from Bergen to Kirkenes. Hurtigruten also offers trips from Bergen and Tromsø to Svalbard (minimum 10 days). There are 12 daily direct flights between Oslo and Tromsø (flight time: 1 hour and 40 minutes). There are also direct flights between London Gatwick and Tromsø (3 hours and 35 minutes), as well as to Stockholm and Helsinki. The easiest way to get to Svalbard is by plane. There are regular flights from Oslo (2 hours and 50 minutes and Tromsø (1 hour and 40 minutes). There are up to six daily flights from Oslo to Harstad/Narvik Evenes (1 hour and 30 minutes). Book your flights with Norwegian, SAS or Widerøe.